The following is the second in a series of five blog posts from Rob D’Amico, Senior Product Manager for professional film and video editing solutions, which will cover key changes in Media Composer 6.5.2. You can follow Rob on Twitter at @_RobDAmico_. My name is Rob D'Amico (Media Composer family of products product manager), and I will be contributing to this blog throughout 2013. The goal is to bring more awareness to editors, 3rd party partners, resellers and other industry folks that have an interest in the Media Composer family. My topics of discussions will range from product news, new features, important bug fixes, tips and tutorials, 3rd party programs and anything else that could be of interest to folks relating to our pro film and video editing solutions. I hope this is useful information to you all, as I look forward to an exciting 2013 with a lot of topics to talk about. Back in late December we released an update to our current shipping version; Media Composer 6.5.2, Symphony 6.5.2 and NewsCutter 10.5.2. This release includes many bug fixes improving performance and stability in a lot of areas of the applications such as scrubbing, color correction, trimming, mouse wheel stepping, stabilize effects, marker comment entry and bin saving. One area of format/codec improvements we’re excited to release in this version is how we work with QuickTime ProRes media. These improvements are focused on ProRes consolidation and performance. 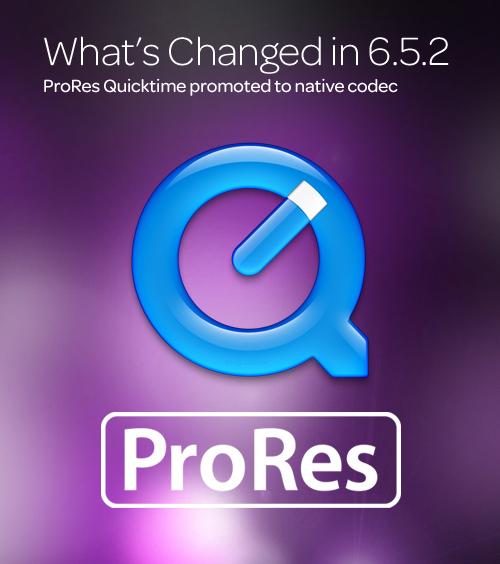 QuickTime ProRes can now be consolidated like any other native codec, and has an increased playback performance of up to 4 streams in real-time at full quality. If your workflows involve AMA linking to ProRes media you can now consolidate them into an MXF wrapped file for quickly checking into Interplay or to become Avid native managed media. With the performance fixes, the consolidation process is very quick, as if you were copying the media. Also whether you are AMA linking or having native ProRes media, the playback performance has also been fixed to get up to 4 streams of playback depending on your storage performance. Note: Existing AMA linked ProRes media should be re-linked with 6.5.2/10.5.2 in order to take advantage of the fixes and performance improvements. You can try out this change for yourself with the free 30-day Media Composer trial. If you have any questions, be sure to connect with the team in our Professional Video Editing Forums. Rob is currently working at iZotope Inc. as Product Management Director in the area of desktop audio plug-ins. Rob also has over 20 years of production experience in music performance, audio post production supervision, sound design, sound editing/mixing for film, broadcast and web.